TOTALLY REMODELED HOME IN HIGHLY DESIRABLE GERMANTOWN. Some of the recent updates include: 30 year shingled roof; new replacement windows; kitchen updated with new cabinets, countertops and new dishwasher; waterproof Luxury Vinyl Plank flooring installed in the kitchen, bathroom and laundry room; original hardwood floors refinished; new hardware throughout the home; new ceiling fans installed and as a bonus the new washing machine to remain. With fresh exterior and interior paint, this home is ready to move in. For a private showing, call today! This home will not last long. Lot Size: 0.12 Acres / 5232 Sq. Ft.
SchoolsClick map icons below to view information for schools near 1028 Ash St Louisville, KY 40217. House for Sale at 1028 Ash St Louisville, KY 40217. Description: The property located at 1028 Ash St Louisville, KY 40217 with the MLS# 1522062 is currently listed for $173,000 and has been on the Louisville market for 101 days. 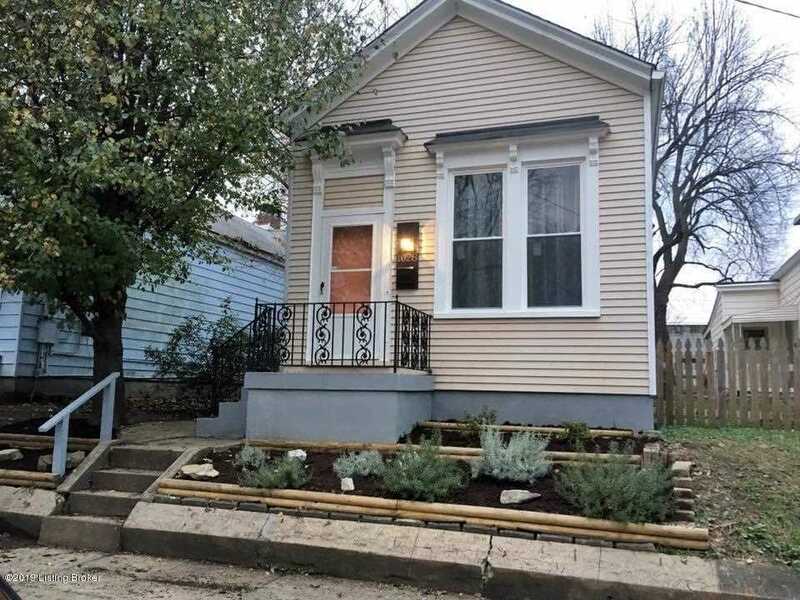 You are viewing the details of the home for sale at 1028 Ash St Louisville, KY 40217, located in the Germantown neighborhood which includes 2 bedrooms, 1 bathrooms, and has approximately 1150 sq.ft. of living area.